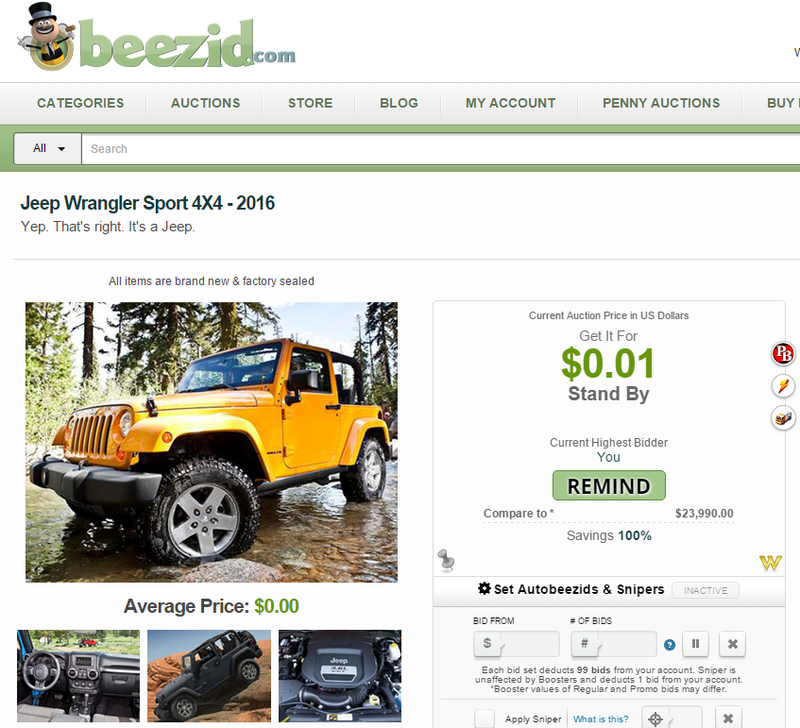 Montreal based penny auction site Beezid will soon be featuring an auction for a brand new 2016 Jeep Wrangler Sport, but will it be a good deal to the winner? While Beezid is based in Canada, they ship items both to the US and Canada. The auction for the new 4×4 currently does not have a countdown time or date, so far they just have a “remind me” button where you can generate your interest in this vehicle and receive notification when it becomes available to bid. Would you bid on a new car on a penny auction? Beezid has offered new car auctions in the past. In fact, back in 2010 when they offered a new Ford Mustang they actually made a profit on the sale. The winner won the car for just under $1200. Collectively the site took in a revenue of just over $43k and profit (more or less -the posted price was sticker MSRP) of $14k. Beezid, just like many penny auctions, charges for ‘chances to win’ in the form of bids. These bids come in bid packs. If you haven’t bid on Beezid in awhile you’ll find that they’ve changed their bid pack and even bidding formats. Bids on Beezid cost about $0.30-$0.90 each, the cost varies depending on the bid pack purchase you choose or if you’re able to win bid pack auctions for less. Each time you place a ‘bid’ you’re participating in the penny auction and are hoping for a chance to win. Just because you buy bids and bid, you may not win. If you were to try bidding on this new Jeep each time you place a “bid” you will be actually be using 99 bids from your bidding account. Each bid (or group of bids) placed will hold you a place and a chance to win an item. The only way you will win is if you are unopposed when the auction clock counts down the 0. If someone else bids after you do, the timer will reset and if you want to try to win you will have to place more bids. 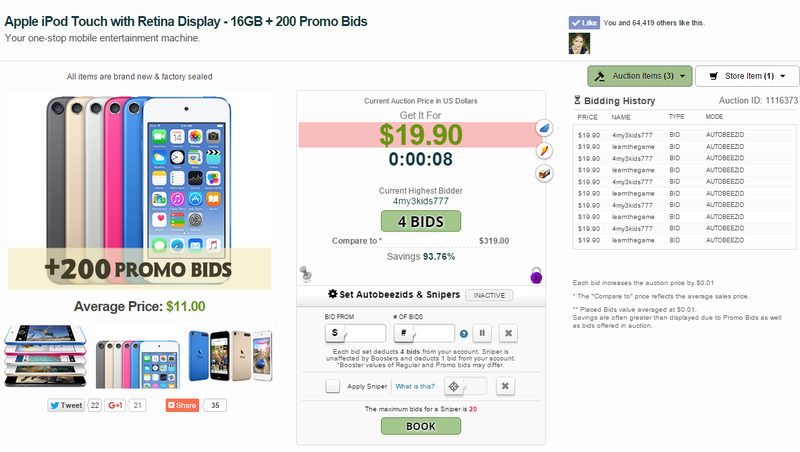 Now when you purchase bids you will also get a free item bundled with your bids. The free merchandise that’s included in the bid pack purchase seems to be included in the cost and determines how much your bids will cost. In the past, one bid got you entry and a chance to win an item. Now, in order to participate by bidding for your chance to win on Beezid you could be paying more than one bid. This amount is specified on each item page. For instance, if you wanted to try to win this brand new 16GB Apple iPod Touch bundled with 200 promo bids you would have to place 4 bids each time you “bid.” Things have changed quite a bit on Beezid since I bid there. With each bid placed on an item the timer will reset itself to a specified amount of time, about 16 seconds on some of these current auctions tonight. For this particular item the countdown time has not changed and the final end price does not increase. It appears there is a cap of the final end price that the winner would pay at $19.90. The reason the amount/timer has a red banner flashing behind it is because the two bidders vying for this item are on “autobeezid,” the automated bidding option that this site lets bidders choose if they don’t want to manually click bid all night. Whoever puts more bids in the autobeezid could be the winner. It’s really hard to say and it does take a ton of patience and time if you wanted to watch an auction like this and wait for a bidder to give up. Currently a few of the bid pack options include the following items: A brand new 39″ LED HDTV by Seiki, a Lightning 8-pin iPhone 5 charging cable and dock, Teac Pro-Grade Headphones, a Lifesmart Pro Infrared Electric Tower Heater or an Amazon Fire HD 8 8gb. Let’s say you chose to buy the Amazon Fire HD 8 tablet + bid pack bundle. You’d receive 500 bids and the $149.99 valued tablet for $300. This would bring your bid cost down to $0.30. Even at almost 2 am central there seems to be quite a few bidders bidding on Beezid. Beezid has been running auctions strong for over 5 years now and frequently runs TV commercimercials for this penny auction in airplanesWould you bid on a new vehicle knowing that there may be hefty competition? If you’re new to penny auctions in general it’s important to have an understanding of how they work. Be sure to join our Official Penny Auction Watch Group on Facebook and our forum to discuss Beezid and all other entertainment shopping/bidding sites. For more information be sure to read What’s a Penny Auction? and A to Beezid – A Beginner’s Guide to Beezid (note that many things have now changed on the site since the post, but there’s still some good info!). 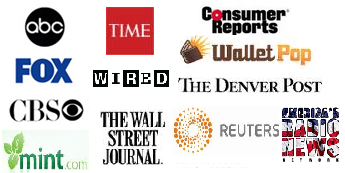 Do you have experience bidding on Beezid.com? If so, we’d like to hear from you!